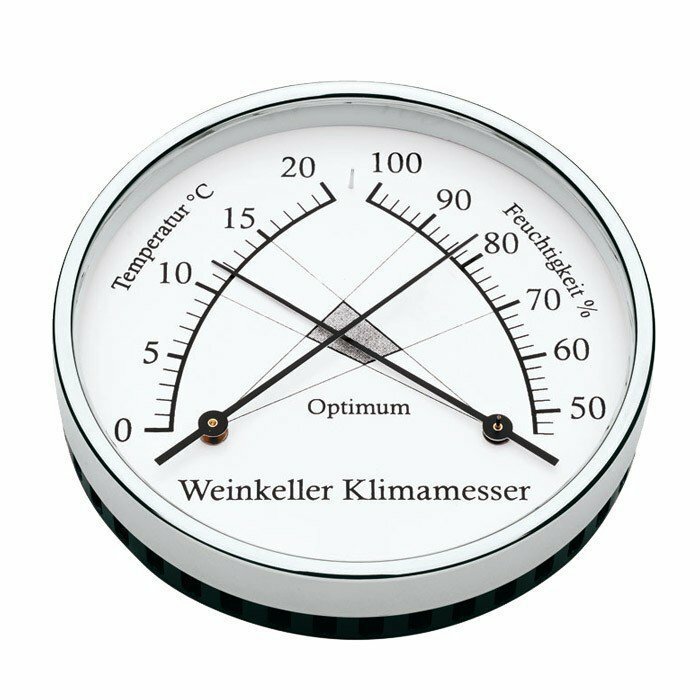 Made in Germany, this analog combination thermometer and hygrometer is very easy to read, allowing you to to verify in a glance if your bottles are in the optimal environment for aging: a temperature between 10 and 15°C and humidity between 70 and 90%. Theoretically, you don't need to recalibrate the factory settings, especially for the thermometer (sturdy, reliable bimetal technology). If you really need to, use a thin, flat screwdriver to change the position of the adjusting slots on the back of the box (for the thermometer, the hole on the bottom right side). 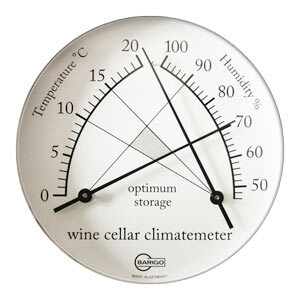 If you are using the wine cellar thermometer/hygrometer in an extremely dry environment, you should regenerate the hygrometer every 3 to 6 months by putting it in a bucket of water (see instruction booklet) for a few hours. The hygrometer can then be recalibrated manually with a flat, thin screwdriver, by changing the position of the adjusting slots (lower left hole). 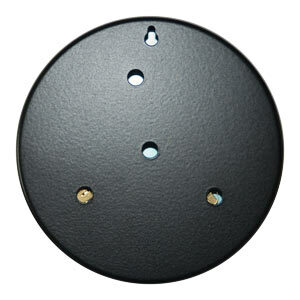 This basement thermo-hygrometer should be hung on the wall with a small hook, nail, or screw whose diameter does not exceed 5mm, the size of the hole in the back of the case. As everyone knows, wine is alive and sensitive to temperature (especially changes in temperature). The corks, which keep your precious nectar from spilling out of the bottle while allowing air to circulate, are also very sensitive to humidity. We know that the optimal storage conditions for wine are in temperature range between 10°C and 15°C (for slow aging, stick to the lower temperature), and humidity between 70 and 90%. absence of light: ultraviolet rays damage wine, so a wine cellar should not be exposed to daylight, and artificial lighting should be kept to a minimum. absence of vibrations: vibrations from a nearby road, subway, or other rail line can seriously mess up your bottles' aging process. analog - you will never need to change the batteries or deal with maintenance (you only need to regenerate your hygrometer if the cellar has more than 50% humidity). readable - a simple glance will suffice to see what the optimal storage conditions should be. quality - made in Germany, mostly by hand at the Barigo factory, specialists in measuring instruments since 1926.